Windows 3 – pop-up menu, totally user customizable – called by right mouse button. Can use as ProgMan/FileMan replacement. Excellent. BackMenu is a program that allows you to define a pop-up menu on the Windows 3.0 background and use it to quickly run applications and tools. The idea came from using X-Windows and Sunview, where the user has a root menu that can be configured. It allows you to describe a set of actions and associate command lines with them. To bring up the menu simply click with the mouse button (left, middle or right) on the Windows desktop. This will bring up the description list. Selecting a description will cause the appropriate command line to be executed. Installation instructions are after the next section (just want to tell existing users what's new). *The BackMenu menu file can now have comments in. Any line starting with a semi-colon (;) will be ignored. *A new keyword, $Info has been added. This tells you (hopefully) useful information about your system (namely what mode Windows is running in and how much free memory is available). *A browse feature has been added to the execute dialog box. This allows you to wander the disk in search of that file you really want to run. The file types that are listed here can be configured from the options dialog box. *BackMenu can now auto-run selected items in the menu file when it is first invoked. See the section on making BackMenu auto-run applications. *BackMenu is now Shareware. We don't like to be bugged for money by the programs we use, so we won't bug you for money in our stuff, but registering will make Ian very happy. Go on, open ORDERNOW.WRI and do it! To install BackMenu, extract the files BACKMENU.EXE, BACKMENU.INI and BACKMLIB.DLL into any directory named in your DOS path. We use C:\WINDOWS, but you may want to do something else. If you've already got a version of BackMenu, don't throw away the old .INI file; you can still use it with this version. Now from the Run... dialog of Program or File Manager, type BACKMENU. A pretty box will appear in the middle of the screen along with a picture of a watch with the second hand ticking. After that, absolutely nothing! Now move the mouse pointer to somewhere on the desktop background (i.e. not in any application window) and click the RIGHT mouse button. A menu will pop up on your screen. Select an application from the menu (or perhaps the About... option?). OK, that's all you need to know. However, you'll probably want to alter the contents of the menu to suit yourself. All the information on the menu comes from the Configuration File, which is an ordinary text file you can edit with NOTEPAD. By default, BackMenu looks for a file called BACKMENU.INI in the same directory as BACKMENU.EXE. The menu file name can be changed by using the 'Set Options...' option. A configuration file is simply a set of lines (one for each description/command line pair). Additionally, comments may be placed within the menu file. These are lines that start with a semi-colon (;). Any text following it on that line is ignored. Blank lines may be placed between items, to cause a separator line to be placed in the menu. BACKMENU also supports cascading menus. A cascading menu item is one that has multiple options associated with it. By clicking on the item, another menu appears with the options on it. It is even possible to have further cascading menus associated with one or more items within that menu. That is, the sub-menu is enclosed between a '>' and a '!'. The text that follows the '>' is the text to appear in the menu (a description of the sub-menu). There is no limit to the number of items you can have in any particular menu. will change to the directory C:\CORELDRW and then run CORELDRW.EXE. If no path is specified, the application will be started in the current directory (whatever that happens to be). All the menu options in BackMenu are configurable. $AboutGives version and shareware information about BackMenu. It will be added to the bottom of the menu if it is not specified elsewhere. $ExecuteBrings up a dialog box that allows command lines to be typed. BackMenu remembers the last 10 commands typed, and displays the previous command for you to edit. To recall the last 10 commands, press the button at the end of the command line. Click on the command you want to repeat and it will be copied into the command line. There is also a browse button which, when pressed, will present you with a dialog box listing all the .COM, .EXE, .BAT & .PIF files in the current directory. Using this dialog box, you are free to roam the disk in search of the program you wish to run. Clicking on the Open button will cause BackMenu to execute the program displayed in the filename box. Exit windows and return to DOS. This option will be added to the bottom of the menu if you do not specify it elsewhere. BackMenu will ask you to confirm before leaving Windows. If you specify NoConfirm however, it will not ask, and return to DOS immediate. $GroupsCreates a sub-menu containing the program manager groups. This is described below. When selected, causes BackMenu to re-load it's .ini file. Normally, reloading the menu will cause BackMenu to re-scan the program manager groups (if you have the $Groups keyword in your menu). However, if you specify NoGroups as an option to this keyword, BackMenu will NOT do this, but use the information from the last time it read the groups. This will make reloading the menu faster. 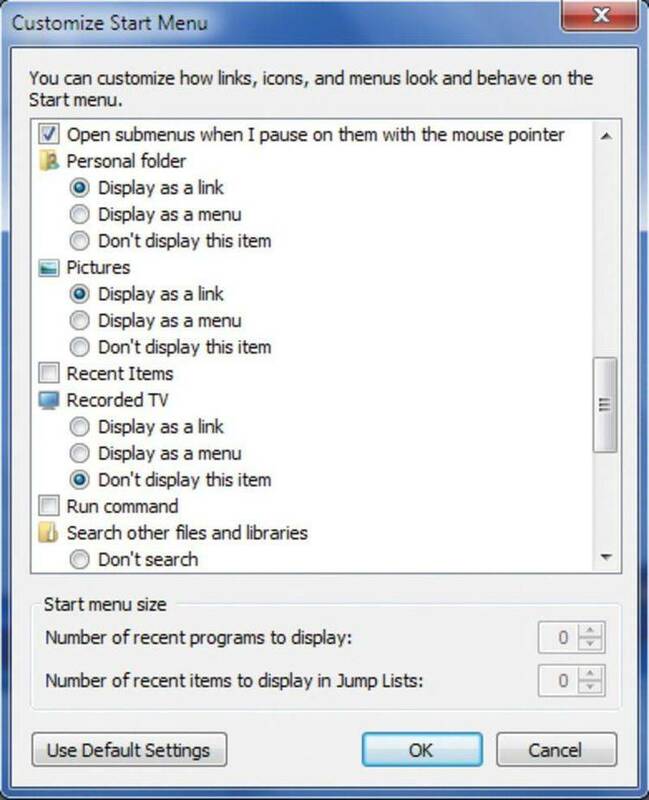 When selected, this option will remove BackMenu from Windows. Normally, BackMenu will ask you to confirm that you really want to do this. If you specify NoConfirm as an option, BackMenu will not ask before removing itself. This option will NOT be available if you are using BackMenu as the shell even if you include it in your .INI file. If you would like a file other than BACKMENU.INI to be used as the initialisation file, you can name it here. It will be loaded straight away and will be used for initialisation next time you restart BackMenu. With this option, you can select which files are presented to you when you use the browse option from the execute dialog box. You are allowed any set of ambiguous filenames, separated by semi-colons. The default is to show all the .COM, .EXE. .PIF and .BAT files. Fairly obvious; see the discussion elsewhere. From anywhere in Windows (famous last words!) except a DOS box, you can press Alt+a key to make the BackMenu pop up. By default this is set to Alt+F10, but you can change it by pressing the button next to the description and picking a new key from the list. Causes the named DLL to be loaded and the function within that DLL to be called. Anything following the function name are passed to the function as a string. For more details, see the section on extending BackMenu. $InfoCauses a dialog box to appear containing information about the state of Windows. Currently, this contains the mode that Windows is running in and the amount of free memory available. and you're away. We've noticed that some ill-behaved installation routines set this back without asking; sorry, we can't alter other people's inconsiderate coding! Similarly, some install routines expect Program Manager to be running; just start a copy before starting the installation. The choice of which mouse button to use dramatically changes the way BackMenu "feels". If the left mouse button is chosen, the menu pops-up when the button is pressed and disappears as soon as the button is released. With the right mouse button the menu remains on screen until a bottom-level selection is made, regardless of how many times the right button is pressed. 1) Exit Windows (or reset if BackMenu is installed as the shell). 2) Edit WIN.INI in the Windows directory. 3) Find the line which has [BackMenu] on it. Below this there will be a line Button=Middle. Change this to Button=Left or Button=Right. Back_menu now allows simple ambiguous file names as command line parameters to programs. If BackMenu finds an ambiguous file name, it will prompt with a dialog box to let you choose. The path and filename are substituted in to the command line. If abort is chosen, the application is not started. At the moment, paths cannot be specified, and the command line may only contain the ambiguous file name. It is possible to make BackMenu prompt for a command line, which is then passed to the relevant program. To do this, place a % after the program name in the menu file. Eg. BackMenu will bring up a dialog box, which will allow the command line parameters to be typed. Anything following the % will be placed in the dialog box for editing. BackMenu has the ability to read program manager group files and provide the items and groups as a pull-right menu. If you create a menu item with the keyword $Groups, BackMenu will insert a pull-right menu containing all the program manager groups. Pulling right on a particular group will give a list of the programs within that group. The BackMenu DLL (BACKMLIB.DLL) contains an accessible function that will allow the menu to be popped-up remotely. The function is called ActivateBackMenu() and takes no parameters. By calling this function it is possible for other applications to cause the background menu to be displayed. Declare Sub ActivateBackMenu Lib "BACKMLIB.DLL"
Writing a similar Excel macro is left as an exercise for the reader. WINCOM.DLL is a DLL that provides standard dialog box functions for Windows applications. If you already have WINCOM.DLL from another application, then BackMenu will quite happily use that version. If you write any useful DLLs which use this facility, please let us know. It is possible to mark applications within the menu so that, when BackMenu is invoked, the marked applications are run automatically. To do this, insert an at symbol (@) before the command line for that item. Eg. In the example above, clock.exe and saver.exe will be executed when BackMenu is run. If you use the choose to reload the menu file, however, the @ will be ignored. This allows you to use BackMenu to decide which program you want running. There may be times when you've selected some applications to run, but don't actually want them to start up when you run BackMenu. You can do this by holding down either shift key while BackMenu is loading. This will cause BackMenu to ignore any @'s that you've placed in the menu file. Hope you like BackMenu. It's become indispensible for us. We welcome suggestions and comments by electronic mail to [email protected] or to [email protected]; as ever, these addresses will need reversing, munging and otherwise manipulating to make them work on the network. We will always send a reply to your note; if you don't get one, send it again trying an alternative (reverse the bit after the @; drop the cix bit; add a gateway name to the end; ask your local mail guru; etc). No promises of support or implementation but we're all fairly nice people (or so our mothers say).